"...it would be a better way to just hide the real face of the church's history than to lose it forever." 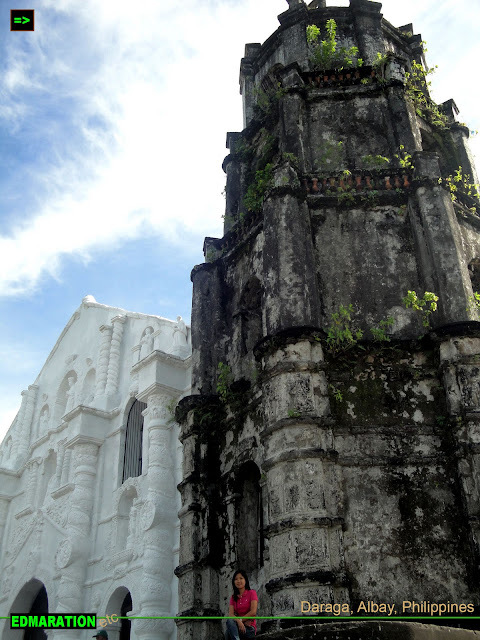 In contrast with the adjacent belfry, the distinction is really that clear from old to new. But this structure is in fact 238 years old. 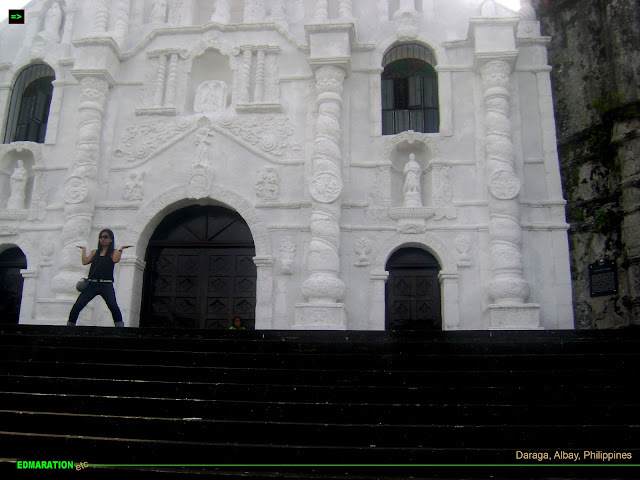 Obliterating the Old World feel, tourists and visitors might be wondering why the church's façade has turned so white. Well this time, I must say, don't judge a church by it's paint. 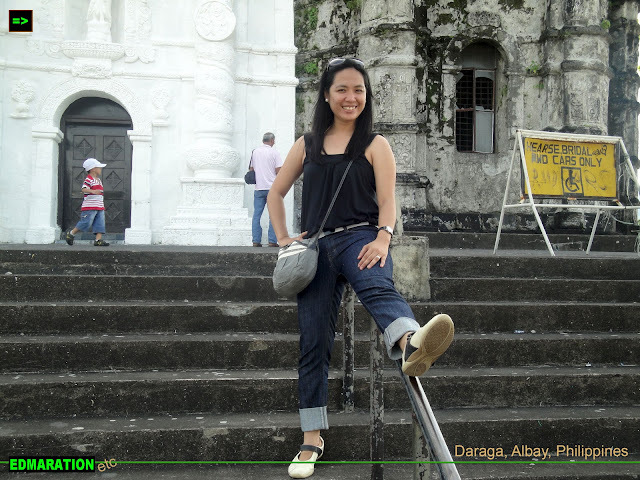 At first, as I climb the hill called the Santa Maria Hill where the church is situated plus a bonus view of the slopes of the majestic Mayon volcano, my first reaction was WOW! 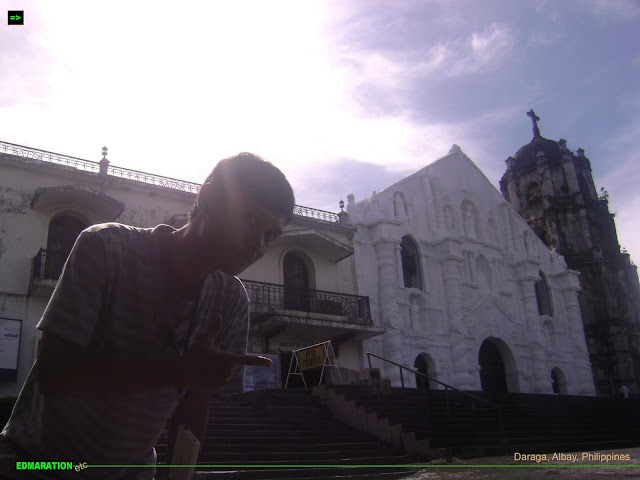 What a wonderful church atop a hill but later on my mind transfigured and I suddenly reacted with WHY? Why it was in white? What the heck they have done in here? Well, those were the questions of an ignorant person who happened to see the church for the first time. 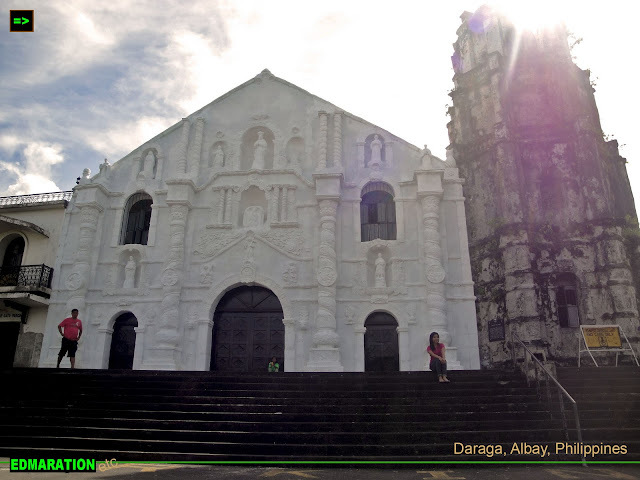 It was in fact a major makeover for the Daraga Church. Trying to explore more about it, you'll have to see that even at the side, the purity of white is glowing. 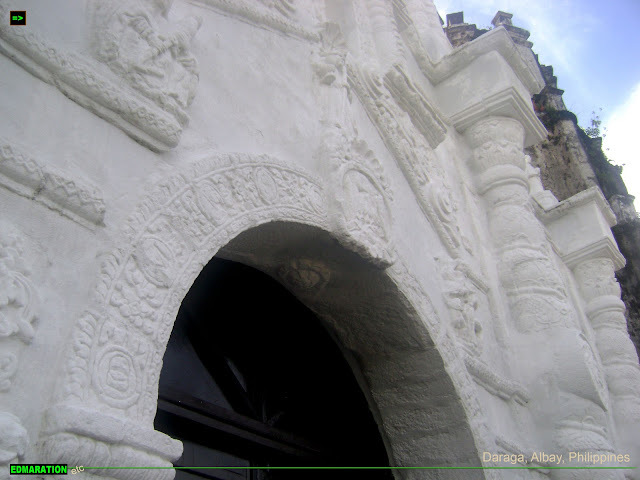 Although it has been painted with white, the architectural details are still visible and the sculptures at the façade is evident. The new look or makeover of the church looks elegant however. But for a conservationist who happens to visit the church for the first time without any knowledge what is going on might be disappointed. But that should not be the case because the makeover is for the good of the church. 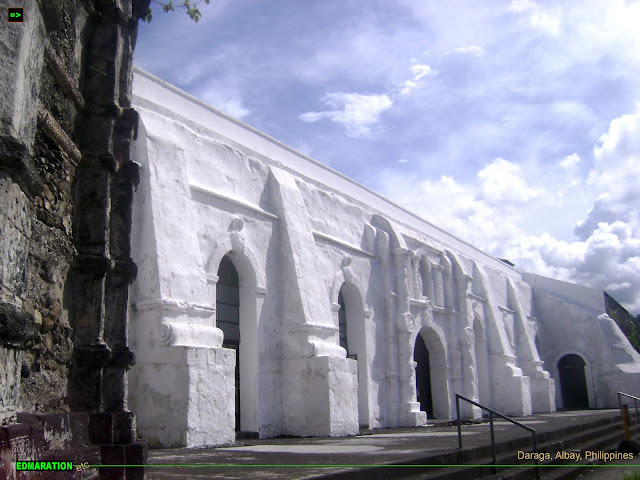 The 17th century historical landmark needed to undergo a major makeover and this makeover is to paint the façade with white. 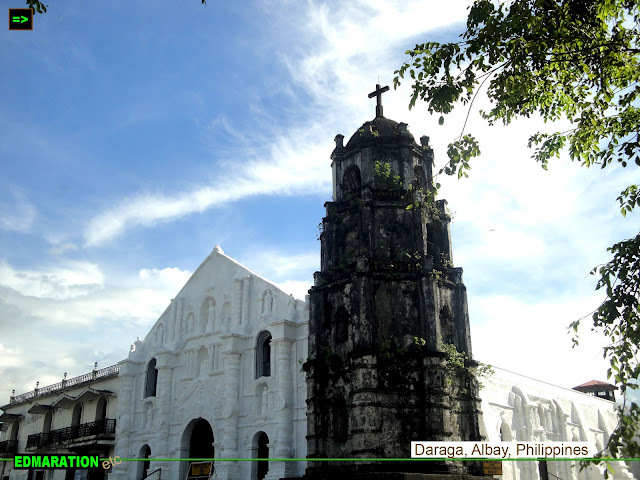 According to the architects of the National Museum, it has to undergo a real makeover and that is because the church's present condition is deteriorating. So in what way? The solution is to paint it with white. 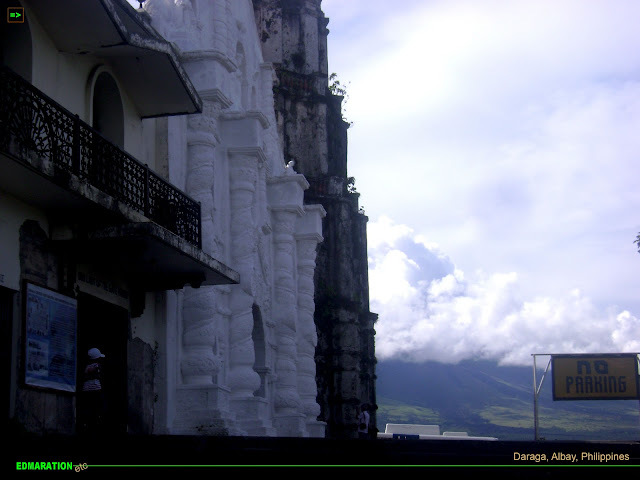 Nuestra Señora de la Porteria, Daraga Church's full name, has been exposed to natural elements such as rain and the sun which contributed to the deterioration of the structure thus eroding the façade and even the architectural design. To note, the white paint is in fact a lime coating with chemical ingredients that has turned white. This method was in fact done in other countries as a manner of preserving their heritage structures too. 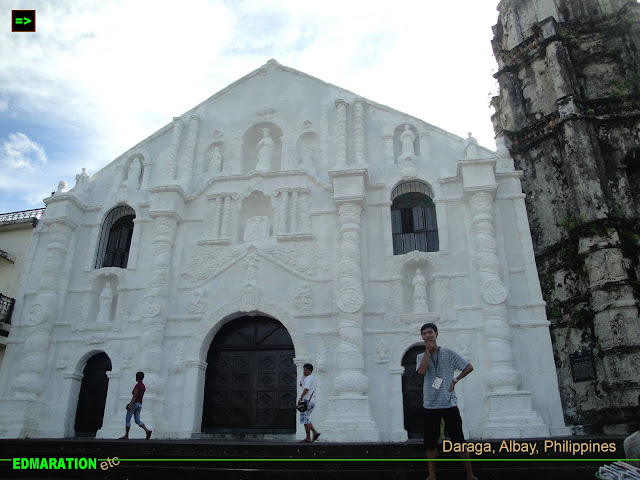 The restoration of the church was actually not an instant process that it has to undergo consultations and a lot of referrals from government agencies, the mayor, the parishioners and others. 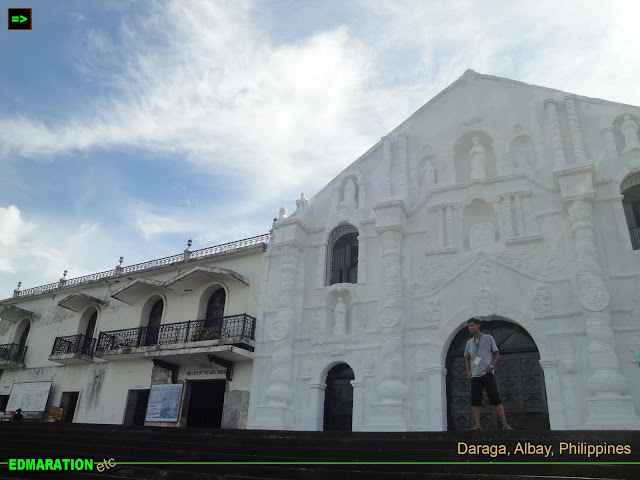 Painted with all the purity of white, the façade is glowing with a touch of modernity but the real identity is situated beneath the superficial painting which was hidden for a good reason. 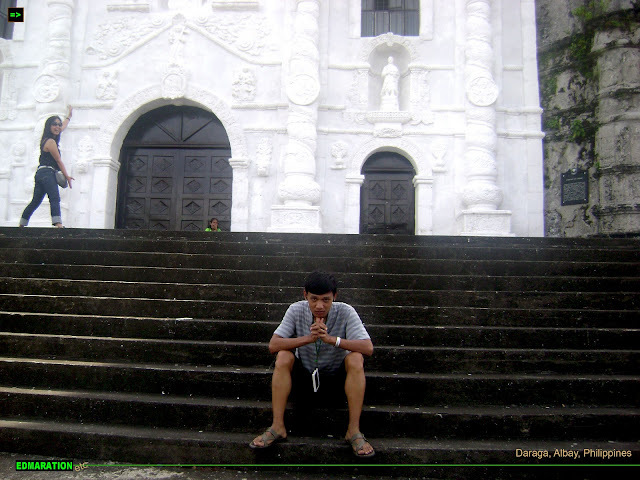 Since the church is situated atop a hill, you have to take several stairs that will lead you to this massive structure of our history. 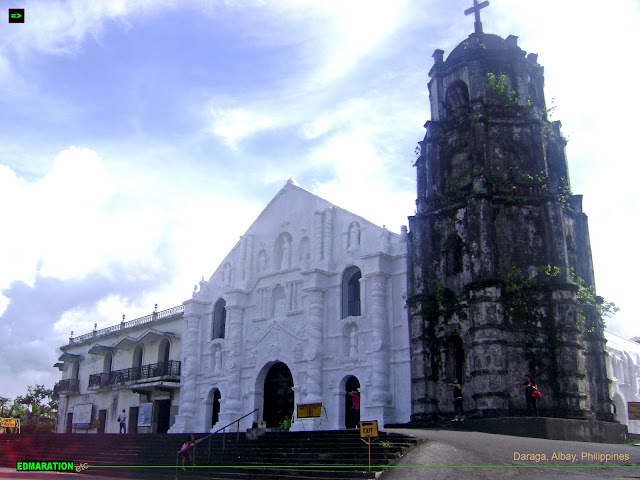 The church has been declared in 2007 by the National Museum as a national cultural treasure. 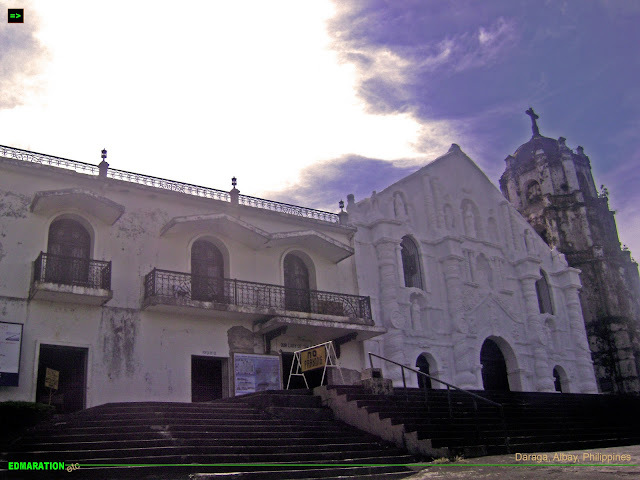 The impressively rich Baroque architectural design of the church is carved carefully through volcanic rocks which makes the church earn a unique distinction from any other churches in the Philippines. Experts and historians strongly believe that the church must be preserved and protected as an important cultural property of our country and with this, there is a need to apply the protective coating under the approval of several agencies and organizations. 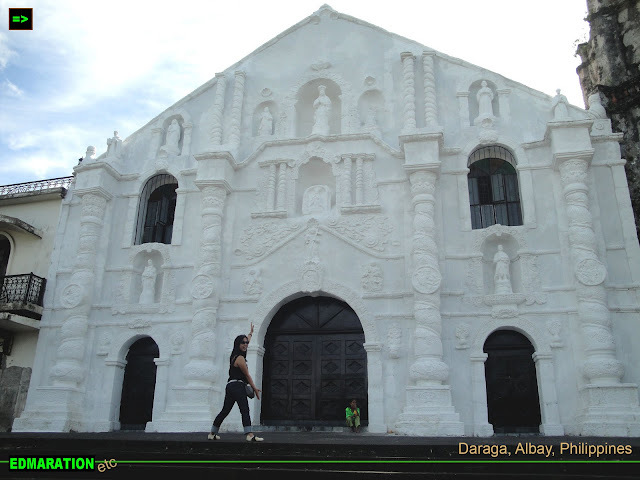 For those who haven't seen the original facade of the church like me, don't you regret and be disappointed because it would be a better way to just hide the real face of the church's history than to lose it forever. It is a treasure that we can not afford to lose.